Only an hour away from Seoul by train, Incheon is conveniently located on South Korea’s densely populated northwest area. In addition to visiting Incheon’s local gems like its Central Park and Wolmido amusement park, there are plenty of less conventional things to see just a train ride away. 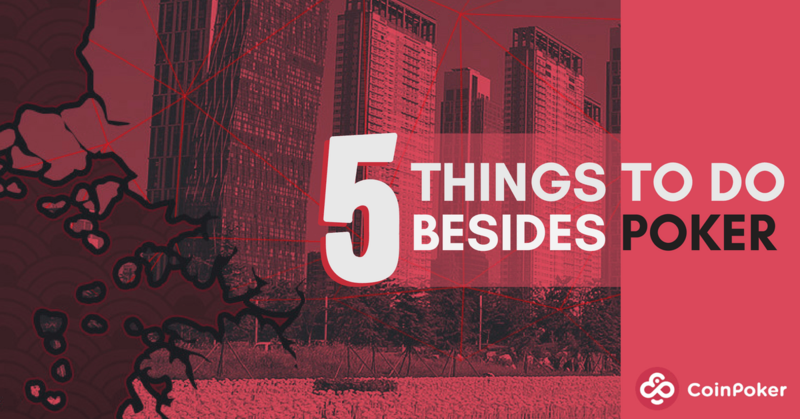 If you’re planning on visiting Incheon for the next Asian Poker Tour stop in August, then you may want to fill in your free time with some of these interesting landmarks in and around the area. Kimchi, the beloved vegan-friendly dish you either love or hate, has its own designated museum in Seoul, South Korea. 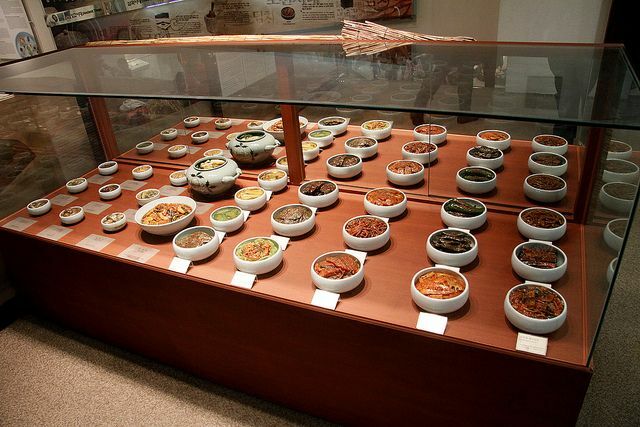 The museum dates back to the Seoul Olympics, where the world first became familiar with the spicy fermented cabbage. It boasts nearly 1500 years of kimchi history, going through the process of its production which is, interestingly enough, considered an intangible piece of cultural heritage by UNESCO. If you’re a kimchi fan then it’s a sight to see. If you find the tangy aftertaste not too pleasant, a talking elephant may be a better match for your delicate sensibilities. As unique as a talking elephant may sound, it isn’t the first time that a pachyderm managed to speak a few choice words. The zookeepers at the Everland Resort in Yongin discovered that Kosik could speak when hearing noises from her habitat one day. While elephants can’t speak in an expressive sense, they can learn to mimic sounds and words. In Kosik’s case “yes”, “no” and a few other Korean commands picked up from her caretakers are easy to say. 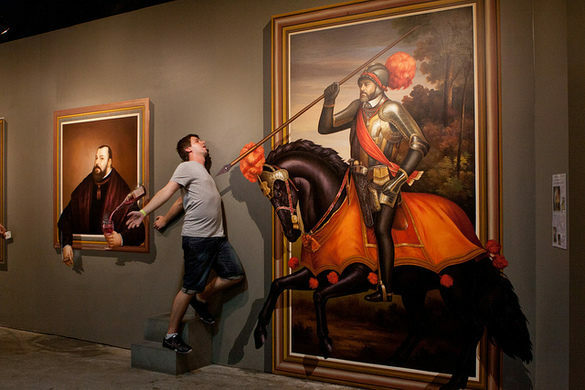 This museum takes optical illusions to a whole new level. Trompe l’oeil is a classic technique used by artists to create what looks like a 3D image. The Trick Eye Museum pays tribute to this very Instagrammable artform with a wide range of surreal exhibitions and displays. Zoos and museums aside, there are even less conventional sights to peek at. One well-known landmark in the region happens to be a giant toilet. This colossal toilet mansion was erected for the former mayor of Suwon, Sim Jaedeok. His passion for cleaner public restrooms in Korea eventually led him to expand his vision and found the World Toilet Association. His reputation lent him the nickname Mr. Toilet, and he named his famous home “Haewoojae”. The translation for which is a house to satisfy anxiety, and a way to describe restrooms in Korean temples. While Mr. Toilet passed away, you can visit the residence which has now been turned into a museum of his lifelong passion. Not only is Incheon’s Paradise City Resort home to the casino hosting the next Asian Poker Tour stop, but it is also an outdoor pool, spa, and even a safari-themed entertainment area with pool, darts, a well-stocked bar. South Korea has made it to many people’s bucket lists, if not for the kimchi and talking elephants, then for its rich history and lavish hospitality. For poker fans with a travel bug, Incheon is the place to be this August, and you don’t need a huge budget to get there. As a part of CoinPoker’s ongoing partnership with the Asian Poker Tour, the Launch to Incheon Satellites give 3 winners an expense-paid package to the Main Event 1B on August 18. The package includes the main event buy-in, as well as an accommodation and expense budget that brings up the total value of each to over €1,500. Find out how you can play your way to the main qualifier for as little as 50CHP in our Launch to Incheon satellite series.